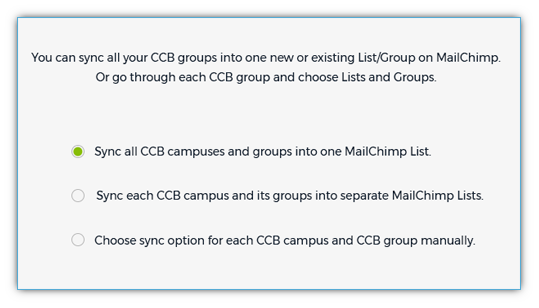 You can select groups from one or more CCB campuses and sync those to an existing MailChimp list or create a new list per group name. In addition to syncing groups from multiple campuses, you will be able to sync saved searches. Perfect way to create a dynamic list or group on MailChimp that meets your criteria. You will be able to manually sync your groups and saved searches in addition to automatic syncing. Great option to have full control over how your data is displayed. You will be able to sync your Church Community Builder (CCB) account with Mailchimp (MC). Two-way syncing is now available for ALL accounts. You will be able to choose which campuses, groups, or saved searches you need to import. Just getting started? Ready to setup? CCBChimp is an approved 3rd party app to sync CCB to MailChimp. If you are already using MailChimp, then you will just have the additional cost of CCBChimp—starts at $7/m (paid annually) but we recommend the $17/m plan. If you are not yet using MailChimp, adding MailChimp might be an additional cost. We say might because the MailChimp free tier is impressive, offering 2000 subscribers and 12k emails per month. If that isn’t enough, they offer a 15% discount for non-profits. You can use this calculator to estimate cost. Why should I use CCBChimp when CCB offers a mailing feature? 1. You are already using MailChimp and CCB. You can now save time, eliminate human errors and keep your databases updated while you sleep. We sync both ways to help minimize administrative work. Since 2017, MailChimp automation module is free to all users. Now you can fully automate your email campaigns. Click me for example. 2. You are using or looking into CCB but heard about a nicer way to send e-newsletters. Get all the power data MailChimp analytics. Benefit from tested, beautifully designed, email templates. Enjoy the “easy-to-look like a rock-star” MailChimp user interface. Reap the benefits from high email deliverability by the top e-newsletter system in the world for small to medium-sized entities. So where does this leave the CCB Mail Merge feature? CCB provides a native option that will continue to be used by many CCB users. Even our CCBChimp users might still use the Mail Merge feature. They are doing an AND strategy. Quick internal messages to staff or small groups? They might use the Mail Merge feature. 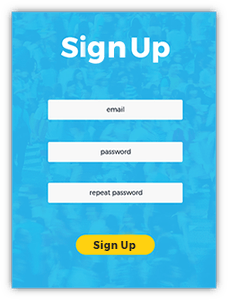 For broadcasts or emails to guests, special campaigns and bigger events, they opt to use MailChimp. A few use only MailChimp. The options are yours. MailChimp can be free or affordable and CCBChimp is priced with churches in mind. If you are looking for a solution that connects CCB to MailChimp and a better way to send beautifully designed emails with tons and tons of data analytics, then using MailChimp through CCBChimp can be a great option for you. Hmm, why doesn’t CCB itself provide this integration for its users? We get it. You are already paying hundreds of dollars for your CCB ChMS software. Ideally, it should take care of all your needs. We believe, at the core, it does. However, expecting CCB to be a jack of all trades will make them a master at none. It’s why their vendor program is so intensive. It allows vendors like us to focus on specific extensions of CCB and be great at it. It allows us to better support the extension and allows CCB to focus on innovating the core product. Remember, software like CCB is the engine of your church workflow. Tech and needs change and they need to respond. Having a great engine can then allow us to provide some accessories to allow you to create a synergistic digital strategy - ensuring your members and visitors don’t ultimately fall through the cracks. Besides, we offer a fixed rate, economical price that adds up to less than a few cents per day. We share the cost of development with you and many others. We will not recoup our costs until 2020. And we are ok with that. We hope this solution adds value and is useful to helping you reach more people for Christ. How does syncing work and which plan is right for me? Two-way syncing is available for all three plans. However, the way in which that syncing is done is reflected in the pricing. There are two ways to sync your information between CCBChimp, CCB and MailChimp: manual syncing and automatic syncing. Manual syncing means that you login to CCBChimp and actually click on the button that says “Sync Now”. If you don’t have time to do this or forget and changes have been made to your contact lists, your next email won’t be sent to the most updated version of your list(s). You can manually sync your data whenever you want and as often as you want. Unlimited manual syncing is available in all three plans. Automatic syncing is when we do the work for you. On the Med plan, the CCBChimp system automatically syncs your data with CCB and MailChimp once a day. On the Pro plan, we do it twice a day. If you have either the Med or Pro plan, you can still manually sync whenever, but you don’t have to worry about it because we are taking care of it for you. Another difference is in the access to custom fields. The CCBChimp platform captures a lot of data. In the Starter plan, you have access to only part of that data: first name, last name, and birth date. In the Med and Pro plans, you also have access to: salutation (greeting), suffix (Jr., etc. ), gender and marital status. And here's a little more information on how our syncing works between both accounts. MailChimp: Choosing how to sync? You can choose to sync the required CCB groups to one single MailChimp list. Or sync the groups to multiple lists. It's very flexible. Each may impact your MC cost. You can weigh the pros and cons. Our costs are flat rates per month. MailChimp treats all the lists in your account separately, and your Monthly Plan billing is based on your total subscriber count across all your lists. It can be more costly to maintain multiple lists, and you may run into compliance issues if bounced addresses are removed from one list in your account but still exist in the subscribed section of another. If you have duplicate subscribers across different lists, consider combining your lists into a master list and using groups to organize your subscribers. This can simplify your list management and may reduce the cost of your monthly bill. However, if someone opts out of a specific email that you sent to a group, they will be opted out of the entire list. Sending to an entire list or specific groups per list are both achievable in MailChimp. It's the same process but instead of selecting the LIST you click to select a group(s) or segment(s). Absolutely! You will have 14 days to try our application. Cancel before this due date and you will not be charged. If you are charged from Day 1, you will still be able to cancel your account and request a refund. No questions asked. What is the difference between your three CCBChimp plans? There are two ways to sync your information between PastorsLine (PL), CCB, and MailChimp: manual syncing and automatic syncing. 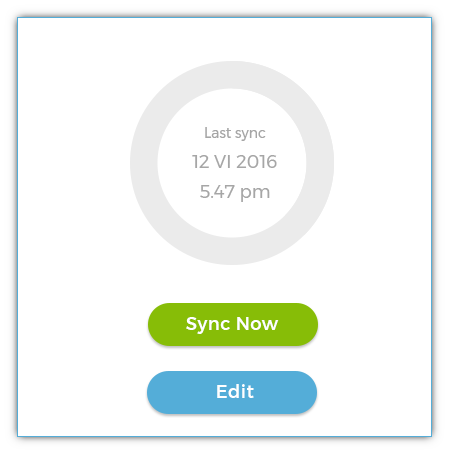 Manual syncing means that you login to PL and actually click on the button that says “Sync Now”. If you don’t have time to do this or forget and changes have been made to your contact lists, your next email won’t be sent to the most updated version. You can manually sync your data whenever you want and as often as you want. Unlimited manual syncing is available in all three plans. Automatic syncing is when we do the work for you. On the Med plan, the PL system automatically syncs your data with CCB and MailChimp once a day. On the Pro plan, we do it twice a day. If you have the Med and Pro plans, you can still manually sync whenever, but you don’t have to worry about it because we are taking care of it for you. Another difference is in the access to custom fields. The PL platform captures a lot of data. In the Starter plan, you have access to only part of that data: first name, last name, and birth date. In the Med and Pro plans, you also have access to: salutation (greeting), suffix (Jr., etc. ), gender, and marital status. For the best of both worlds, we recommend the Med plan. Pay as you go, cancel at any time. Save time, eliminate human errors and keep your databases updated while you sleep. Get all the power data MailChimp analytics, tested email templates and high deliverability. I am confused! What's the difference between the CCB-PastorsLine and this CCBChimp integration? Sorry to be confusing. It's two different applications. CCBChimp.com - Allows you to sync your Church Community Builder (CCB) account directly to MailChimp. CCBChimp.com is powered by PastorsLine. Your security comes first in everything we do. If your data is not secure, it is not private. That is why we make sure that Fluid Ministry services like CCBChimp and PastorsLine are protected by our most advanced security infrastructures. We protect your data with multiple layers of security, including leading encryption technology like HTTPS and Transport Layer Security. Our platform, hosted with Amazon, operates on one of the world’s most secure and reliable cloud infrastructures. And it is continuously monitored to protect your data and make it available when you need it. In fact, this cloud platform distributes data across multiple data centers, so that in the event of a fire or disaster, it can be automatically and seamlessly shifted to stable and secure locations. Our application syncs data between CCB and MailChimp. We don't store your contacts within our database if you are only one-way syncing from CCB to MailChimp. If you opt into two-way syncing (after August 2017), we will need to store your contacts to accurately keep the two apps updated, but we follow industry standard protocols to ensure your data is safe. PastorsLine lets you text (or voice broadcast) your Church Community Builder groups or individuals, today, whether or not you know their mobile phone provider. Using your existing Church Community Builder phone numbers and names, you can merge data in, to send personalized text messages. Our integration also pushes data back to Church Community Builder, keeping your data synced, up-to-date, and ready to go for all your communication needs. PastorsLine differs from other bulk texting (and calling) solutions because we focus on churches and church growth, the interface is very intuitive, and the solution can be used from any device. Bonus: For a more personal feel, you also get to choose your own local number(s) that can match your church’s zip code. Want to see how it works? Check out the demo. Want to try it yourself? Sign-up for a FREE 30-day trial. *Church Community Builder is a registered trademark of Church Community Builder, Inc. MailChimp® is a registered trademark of The Rocket Science Group. We are not affiliated in any other way with these entities.